If you are looking for some great tile floor cleaning tips in Hoover, AL, including your commercial VCT tile, you’ve come to the right place. We’ve included some helpful tips on how to mop and maintain those floor surfaces over time. Now, for a thorough cleaning and a fresh start, you’ll want to call on Heaven’s Best Carpet Cleaning of Birmingham, AL to help get you that fresh start you have been looking for. Use the right mop. 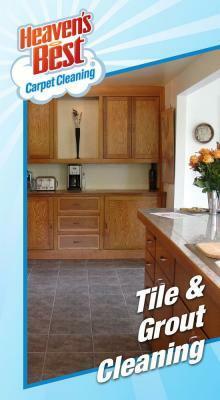 Because tile floors have grout, you will want to avoid sponge mops or dry mops. These are great for quick pick-ups, but not for serious cleaning. Use a rope or string mop instead. Get a mop bucket with a wringer. Whether it's the twist wringer or the roller kind, you will want to get the excess water out of your mop between swipes. Use a mop bucket with a good wringer. Mix the right solution. Use strong solutions of cleaning liquid and hot water for tough jobs and grout. Use a milder solution for the overall floor. Mop three times on each side. Swipe the mop across the floor three times and then flip it over for three more. Rinse the mop well, wring it out and start again. This prevents you from pushing dirty water around the floor. Rinse the water often. You don't want to push dirty water around the floor and you need clean water to keep the mop clean. Once the water is dirty, trade it for more clean, hot water. 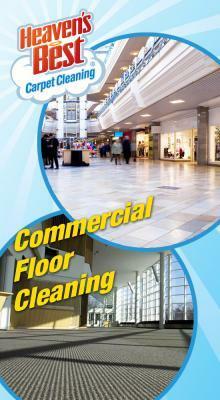 We hope you find these to be some Excellent Tile Floor Cleaning Tips for residents and businesses in Hoover, AL. For the BEST professional cleaning service, give Heaven’s Best Carpet Cleaning a call at 205-618-9150 and we’ll be happy to help get your floors looking good again!